Set a goal, win a bike. Simple. Our 2018 annual Bike Giveway is now underway! 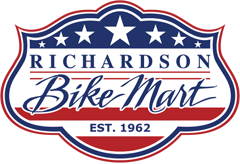 Sponsored by the BaCo Group & Richardson Bike Mart, this competition is open to all CPAs and accounting professionals, plus anyone who refers them. The only geographical constraint is you have to be able to pick up your bike in Richardson, Texas. Today I Can is giving away two bicycles this year, 1 bike for a CPA and 1 bike for the person who referred them. One entry per person. The referrer does not have to be a CPA or work in accounting somewhere. How do you win the bike? First things first, please fill out the form on this page to enter your name (or your favorite CPA's name!). Simply make a fitness goal for the 2018 tax season, document your progress, and stick with it until April 15. Click here to see more detailed rules & information. To sign up, simply fill out the form on this page, and we'll follow up shortly! * How did you hear about the bike give-away, from a friend (email above), Today I Can, Facebook or something else? * What is your fitness goal?